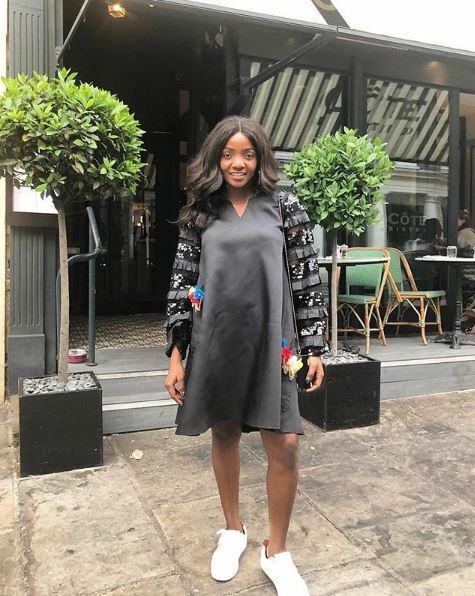 Home Fashion & Entertainment Could singer SIMI be pregnant? Could singer SIMI be pregnant? 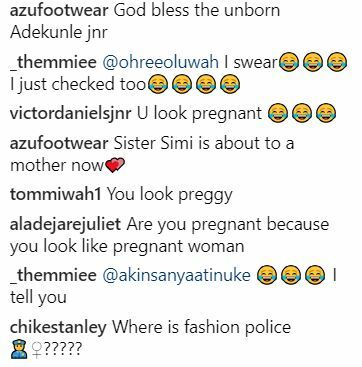 Nigerian singer, Simi has been bombarded with questions on whether or not she is pregnant after she posted a photo.Fans went into hysteria recently when Simi posted this photo of herself online. Many of them believed she is pregnant because of the way her dress bulged out a little in front. Simi has often been in the heat of serious backlash over her style of dressing over the years. Many of her fans think that she does not understand the rules of fashion and class whenever she chose her dresses and some have actually advised her to employ a stylist or if she has one already, employ a new person. Her followers online are now very divided on the matter. 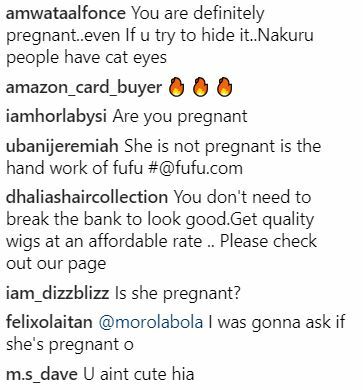 While some are very sure that she is pregnant, others feel she is not. 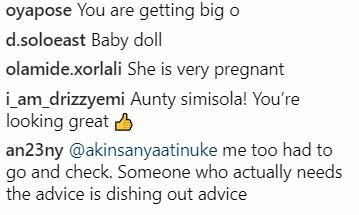 Meanwhile some other persons have even insinuated that she is carrying fellow singer, Adekunle Gold’s baby.